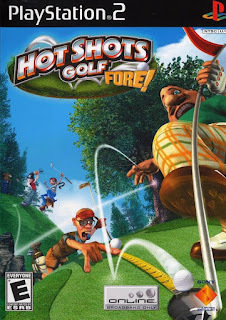 Hot Shots Golf Fore PS2 Iso free download For PCSX2 Pc and mobile Hot Shots Golf Fore apk android ppsspp,Hot Shots Golf Fore ps2 iso Sony Playstation 2,Hot Shots Golf Fore!, known as Minna No Golf 4 in Japan, is the fourth if the wacky, absurd but loveable and deep arcade golf game series first created by developer Camelot and now handled by Clap Hanz. This new version delivers more realistic physics, better graphics, more golfers, caddies and courses than before, miniature golf games, and online play. 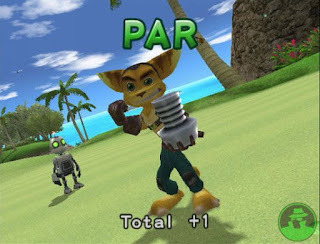 The developers increased the overall number of characters from 15 to 24 (that’s 23 people and one animal), added more caddies (10 in all, two of which are animals)m and boosted to courses from six to 15. 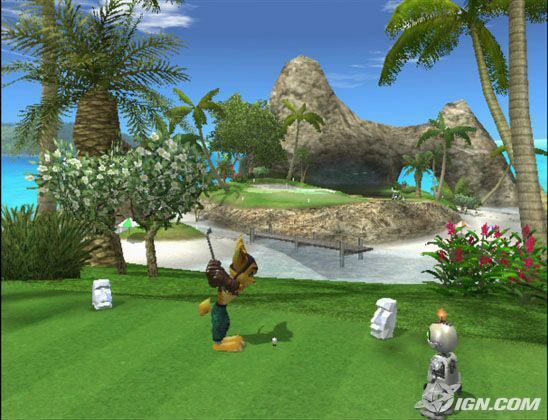 Of these 15 courses, 10 are new, while five are returning favorites from the previous game. As part of its online offering, the game also features a Tournament mode where up to 32 players can compete against each other.Realistic graphics reach a new level! Gorgeous course visuals are now even more true-to-life! morning mists cloak the green, trees sway in the wind and fountains sparkle in the air. Feel like youve stepped onto a real golf course as time passes, seasons change and fair weather comes and goes. The characters have plenty of new moves, too wait til you see what they do when they hit the ball! the realistic courses and off the wall characters will keep you entertained for hours on end; a total of 15 courses await your presence, ranging from challenging 18-hole layouts to short par-3 courses. And back by popular demand is miniature Golf, with putting greens like you’ve never seen before; tons of items to unlock, guaranteeing hours of gameplay. 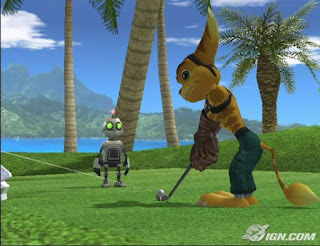 Win new clubs, golf balls, courses, characters, caddies, outfits and many more zany items; along with 12 new off-the-wall golfers, you’ll be able to play your favorite characters from previous Hot Shots Golf games. You can also swing the sticks with a few of your favorite Playstation 2 characters. 34 characters in all.